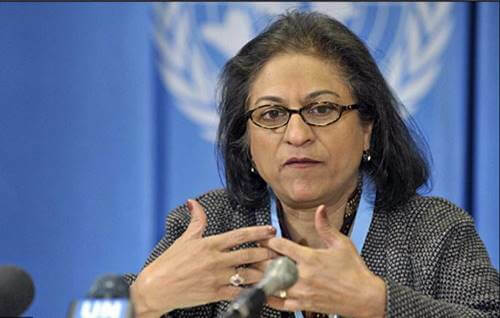 For those who are aware of the fight for human rights in Pakistan, Asma Jahangir needs no introduction. An outspoken activist for the rights of women and minorities in Pakistan, she is also recognized internationally as an accomplished lawyer, a rapporteur for the UN, and a winner of the Millennium Peace Prize for Women. To find out about her perspective for peace in the region, I set up an appointment to meet with her on a hot July afternoon. After passing through security-because of death threats to Ms. Jahangir- I met her at the appointed time-despite her busy schedule. During our conversation I found that Ms. Jahangir is not only deeply committed to her work, but is also extremely eloquent and focused in expressing her perspective on the peace initiative. I think basically the work I do here in Pakistan as a human rights activist. In one of your previous interviews you mentioned that even if the Kashmir issue was solved there are so many other issues that need to be resolved between India and Pakistan. Do you doubt that peace is possible in the region? No I don’t doubt that peace is possible. What I was trying to bring out was that we really have to make peace between India and Pakistan before we can think of resolving our issues because two estranged people cannot resolve issues like Kashmir. First an understanding has to be developed. We tend to put it the other way around. That if that is resolved all will be well. I don’t look at it from that perspective. If all is well between India and Pakistan, then the Kashmir issue will be resolved in its own way. And how do you perceive that to happen? What I feel is that first of all we have to come back very quickly and speedily to the pre-parliament attack on Delhi. That should be done as speedily as possible. We are talking about train connections and air connections, opening of visas that can take a little time and then the two governments have to have a process rather than just talking, and then nothing. And that process has to be well conceived; it has to have a time which must involve Kashmir but must not be exclusively Kashmir, and I think that time-bound process must look at various aspects of not just trying to resolve issues but also trying to build stakes in the countries and trying to bring people together through state effort. At the moment it is more a people-driven peace initiative rather than a government-driven peace initiative. It can start on a small level. People do share each other’s cultures through pirated copies. However, there is no institutional way of sharing culture. Even though we do have in our country the German Cultural Center the French Cultural Center, but we don’t have an Indian Cultural Center; we don’t have a Bangladesh Cultural Center, we don’t have a Nepalese Cultural Center; we don’t have a Sirilankan Cultural Center. We need something that is so close to us in culture, geographically, and in terms of certain value structures as well. Similarly we don’t have a Pakistan Culture Center in those regions. This in fact will give boost to our cultural experience in Pakistan, which has been sidelined for many years. People who are in the arts and performing arts have suffered a great deal, and I am a great believer that the flourishing of culture in fact helps more openness in society and give a society a color where they can think in more positive terms. We don’t have shared educational institutions. A number of students who can ill afford it are sent abroad. Why can’t they share their resources and set up South Asian University which can help many of our professors who are teaching abroad to be closer to their homes and yet have the same kind of standard and satisfaction of teaching? Plus it brings the youth together on the same premises. They begin to see each other’s point of view and then there is a bonding at a regional level. No! I think they all have to come side by side. There are so many things that can be done without ruffling feathers. What do you feel about the political situation of the governments of Pakistan and India working toward peace? I think we’ve not had a very good experience. I don’t want to quote the Lahore process followed by kargill but it stares us in the face. Similarly, though for the Indian government I cannot blame them for not trying because they did. Vajpayee took the effort to come to Lahore and in some ways it was not such a good experience with the army turning their back on him and Jamaat Islami going and washing Minare Pakistan after he left. But our government at that point was also very keen and things were going in the right direction, and then once there was the misadventure of kargill things went from bad to worse. However, the Indian government did invite our president to Agra. Who knows what happened in Agra and why it didn’t succeed? But the fact remains that the Indian government has suffered for taking that initiative and not really being able to sustain it in their domestic politics as well and they’ve had to cover it up. But where India fails us is their own domestic policies of promoting intolerance towards the religious minorities. It would be foolish to say that what happened in Gujarat doesn’t leave a bad taste in the mouth here. It is their country and it is their domestic affair, but it just shows that there is this bitterness in the region and it will be looked at in an emotional way in Pakistan. And it’s not necessary that because you’re a Muslim you’re looking at it in that way but the fact that this is what is happening to religious minorities in India, which prides itself in being secular, it gives a set back to secularists in our country because we are always then told about what happened in India and, “What secularism are you talking about it doesn’t really deliver in our society”. This is not a homogenous society. And it’s not just what happened in Gujarat, but it’s the fact that the government covered it up: the fact that the government did not succumb to public pressure and common sense in dismissing the chief minister. I have to commend the civil society of India because they came up tremendously with reports of the violence. You talk about what happened in Agra and cover up in India. What is the media’s role in the all the peace process? So in a way you can say you’re turning citizens against their own country. I agree. Gone are the days when a person born on the soil will have to be loyal to it. What are your expectations on a personal and political level about this process? Of course it affects my life on a personal level. If you don’t have peace with India, you are feeding a very large, bulky and cushy army, and we can ill afford it. I am also very worried that at the moment we are getting arms from the US to keep our army in style, but once that is over then the economic crunch will come in the cantonments as well and how will they react to it? And people with guns, if they have to make their two ends meet, how will they make use of it? It can be very scary. I do see a very horrible scenario in case the pipeline of funds stops feeding an army that is used to living well. Plus, I think the enmity between India and Pakistan played into the hands of the army to use this pretext for keeping themselves in power in the political arena. Their importance has been bolstered because of that. Thirdly, I think that we are paying in economic terms by not having trade with each other. At a very human level I see a lot of cases here of Indian prisoners in jail and I get a lot of cases of Pakistani prisoners in India. Sometimes we succeed in getting people released and sent to their countries, but not all the time, and it is quite heart wrenching because their families are waiting for them, and the treatment in both countries that is given to persons from enemy countries is abysmal. Then you also have divided families, which is unfortunate because after. Someone in my office whose mother came from India and when she died none of her brothers and sisters could come and be with her and before that her brother had died in India and she couldn’t go. So I felt really bad for her because she was completely cut off from her whole family. At a human level that disturbs me and at a political levels everyone’s lives is related to politics and what effect it has on me works also politically. But further than that it will affect democracy in our country. Which comes first? I don’t know? I think the democratic system will help in peace building and peace will indirectly force democratization. What role do you see of the UN or the US in the peace process? UN is a body of states and it can only act if member states want to do something, and in the case of India and Pakistan, I don’t think the UN is involved at all apart from what we call “quiet diplomacy” to urge the countries to come to the table to talk about peace to make peace and build bridges. But they have not come up with any concrete India Pakistan paper or suggestions as such. The US of course is now minding the entire world, and it is in their interest that India and Pakistan make up, and they want to have good relationships with both. Frankly any road map by the US for me will always smell of disaster. I think we’re better equipped to make our own road map. Because we know each other. We know our problems; we know our internal limitations, but the US road map will obviously give priority to their own interests. Which will take away the interests of the people of India and Pakistan. That’ll be pushed back again. I’m not very happy to see the US giving us the road map. I think if the US supports both countries to have a peaceful solution to all their problems. That political rhetoric is fine, but I wouldn’t want them to decide anything for us. Do you think there are any groups that would not want peace? Of course! In both countries there are groups that will not favor peace, but there are various types of groups that do not favor peace: There is the well meaning group that believes over the years that we should have very little to do with each other because they are convinced that we can never mean well for each other, and they have their point of view. Then there are of course vested groups in which there would be traders and protected markets as well. For example, if I had an industry of sewing machines in Pakistan I would really not want trade relations with India, or if I had a factory in India, I would be very worried about my own survival. And, therefore, would not support trade relations with Pakistan, so there is that vested interest group but most of all there is the religious extremism. There is extremism on both sides, and the reason is that if people begin to not see enemies in each other then their shop is closed. A lot of our religious extremists strive on the fact that they can actually put people on the streets against India and Hindus, and they can point toward any sectarian, communal violence in India as a great coup for Pakistan. And similarly on the other side they would not want to see friendship because they would naturally feel that the Muslim community in India would get strengthened, for they would obviously have more links with Pakistan than anyone else. They [the extremists] get strength by having enemies, so there are no doubt these vested groups that would not want it [peace]. But if there is everything to gain for the average person (like economic prosperity) then, I guess and particularly for Pakistan, they are in a minority. What can the average person do to work for peace on both sides? What does the new generation need to know on both sides? The younger generation needs to “unlearn” what they have learned about each other. If you look at the kind of propaganda against each other in schools and the media, it’s really difficult for them to unlearn. My own children on a visit to India have been shocked to learn that many of my friends are Hindus, and they can’t reconcile to it for a while because of the learning they have done here. And there is always the suspicion in each other’s mind, so I think they have to relearn it all! 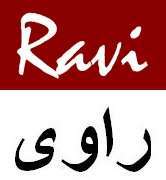 A. Rana is Asst Professor at Canada College, California.